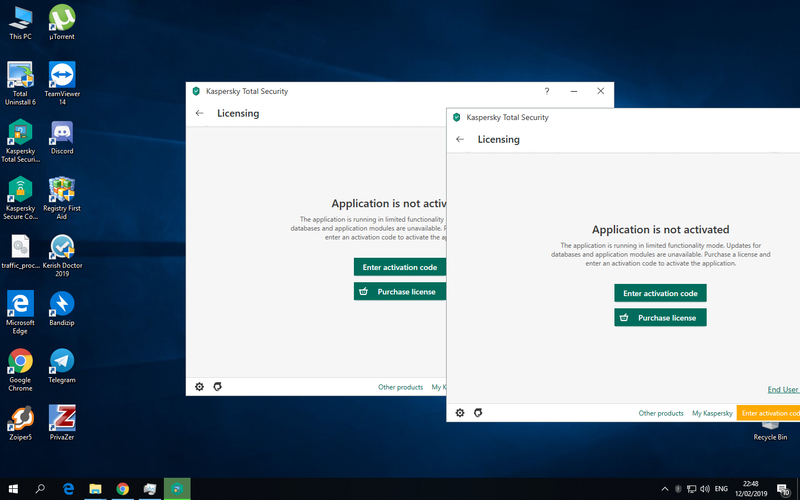 Two window GUI after delete license. #970 Two window GUI after delete license. Run Full Scan->Quick Scan->Database Update->More Tools->Manage Applications-Trusted Applications mode->Vulnerability Scan->Unused Data Cleaner->Privacy Cleaner->Browser Configuration->Microsoft Windows Troubleshooting. After delete license show two window GUI. After delete license product show one window. Hello! This problem is reproduced only when you repeat all this actions before delete license? Problem reproduced after only delete license.